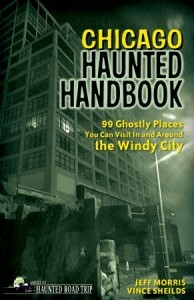 The newest addition to the America’s Haunted Road Trip series, Chicago Haunted Handbook, brings you 99 ghostly places you can visit in and around the Windy City. 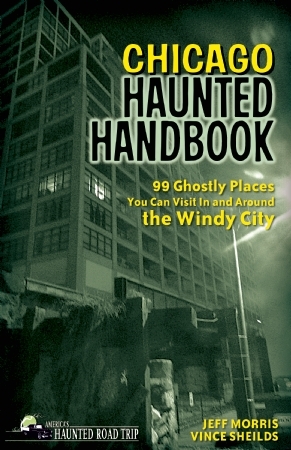 Authors Jeff Morris and Vince Sheilds profile 99 of the most haunted spots in Chicago, covering all the important information such as location, directions, a brief history of the spot, the ghost story behind the spot, and tips for when and how to visit. 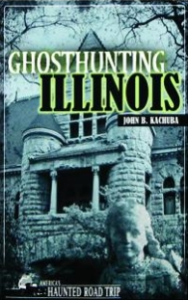 Are you ready to hunt for ghosts in the Windy City? All 99 locations are open to the public, and suggested tours are included in the back (Paranormal Pub Crawl, Gangland, etc. 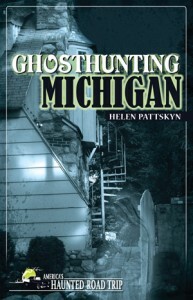 ), which make this guide the perfect tool when planning your next ghosthunt in the Midwest. 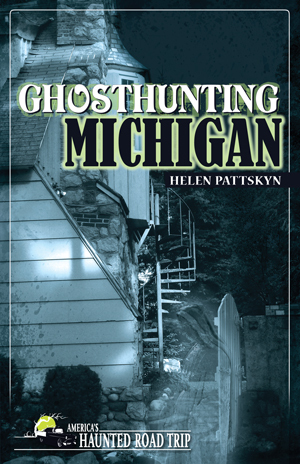 Combine this book with John Kachuba’s Ghosthunting Illinois or Helen Pattskyn’s Ghosthunting Michigan and make a real road trip out of it! All books in the AHRT series are $15.95* and are available at www.clerisypress.com.